Sensei A.J. Advincula is considered one of the foremost authority on Isshinryu Karate. This site is an educational resource in which you will find articles written by A.J. Advincula on the history of Isshinryu, its origins, applications and theory. His career in the art of Karate has spanned over 6 decades. As a student and teacher of many disciplines, Sensei A.J. Advincula's wisdom is priceless and insightful. He is schooled in the art of Escrima, Ryukonkai Kobodo, Hindiandi, Marine Close Combat Techniques and Isshinryu Karate. 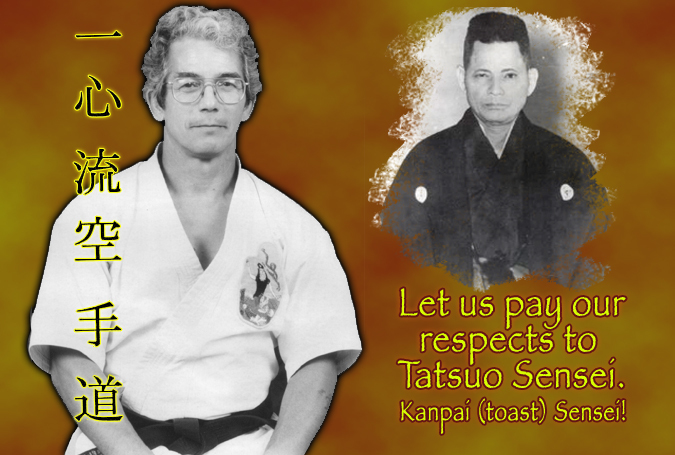 This site also serves as a dedication to Tatsuo Shimabuku, the founder of Isshinryu Karate and Sensei A.J. Advinculas teacher. Together, let us celebrate the legacy Tatsuo has created and the style in which so many lives have been enriched and forever changed. Kanpai.